Okay, this is a controversial post from someone who is all for feminism and equal standards in the world of geek. Sure, the girls of the gaming world get a lot press because of their skimpy outfits (bikini armour anyone?) and good looks, but I’ve touched upon this subject before in my Spider-Woman post – we all enjoy looking at nice things. An attractive character design isn’t sexist, but yes they way they are treated in the game is and my reactions to them could be interpreted as so, if they are outwardly sexist and degrading. Know what I mean? Alistair will always hold a large place in my heart. He’s blonde, attractive, loves cheese and will defend your honour (not that my DA character ever needed it, she is sassy as hell). He’s always got some witty retort while you’re out on a stroll, looking for Darkspawn to slay, plus he’s pretty good at handling his greatsword. I meant that to sound a little dirty. Cocky, strong arms, chiselled jaw. all that stubble…Nate is the whole package (and looks cracking in a suit, as we saw in Uncharted 3: Drake’s Deception). Drake has the smart arse charm of Han Solo and the good looks of Robert Downey Jr. all thrown into one – hey, maybe he is just Robert Downey Jr. I’m still not sure about his latest update, I prefer the older model. I think they’ve made him look really old and worn in this new installment, which is probably down to plot and I’m still obviously going to pre-order it – once I have my PS4 though of course. Okay, cringe worthy gif and I’m going to be controversial with my choice but I like new Dante much better than old Dante – even if he does remind me a little of Joey Essex. While playing Inquisition I’ve been desperate to come across Alistair again. I still haven’t found him but I obviously know that he’s king now and not with me, sharing cheese and sword fighting. Sob. So I have had to make do with Blackwall, another Grey Warden who is hot, but not quite as hot as my Alistair (I need help). 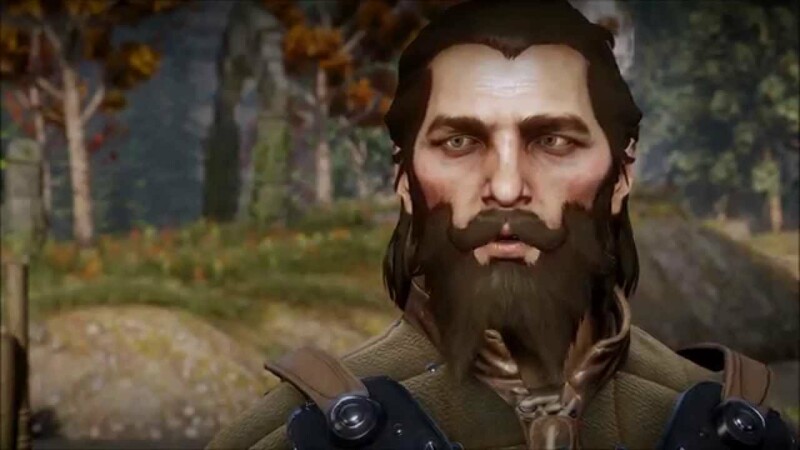 He reminds me Thorin Oakenshield, what with the beard and looking tiny next to my Qunari character. 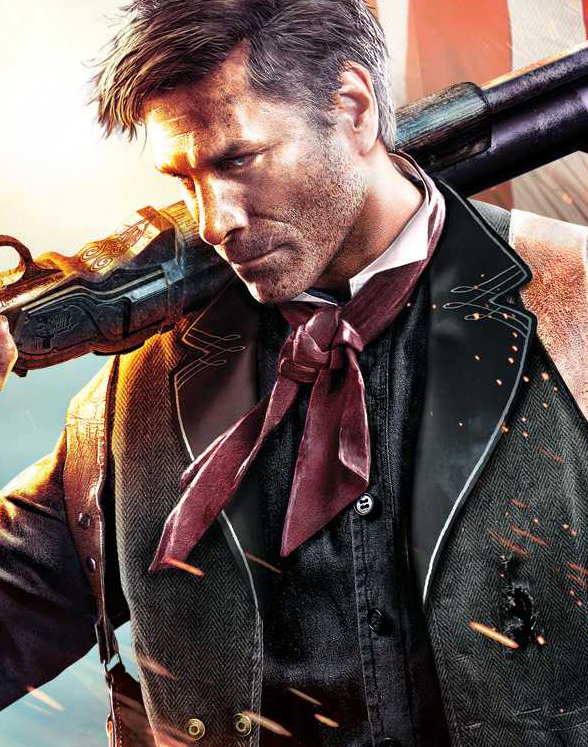 Look, I know you don’t really get to look at Booker while playing the game but if that cover art is anything to go by Booker is a regulation hottie. He kind of reminds of Nate a little with the rugged manliness but he can buck my bronco anyday. So there we go, that was me being a full on pervert over fictional characters. I’ll put together a list of female ones soon. Arkham Asylum Poison Ivy…YES.